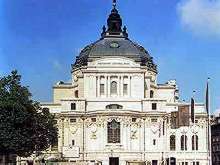 Central Hall is a very important and impressive building prominently situated in the heart of Westminster. Throughout its 100 year existence the building has been privileged to host many notable events. It is able to offer some most interesting spaces, with good on-site catering and other support facilities together with an understanding and professional events team and technical crew. Westminster's Central Hall's elegant and unique architecture has graced the skyline of Westminster for almost 100 years and even though it is not quite as high as the London Eye, there are superb views of picture-postcard London from the outer gallery of the Hall's dome on the opposite bank of the Thames. 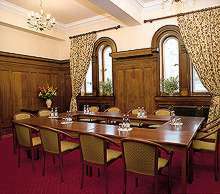 Central Hall is able to provide very flexible facilities for filming and photo shoots, offering a range of grand settings with high ceiling space. Additionally, there are interesting spaces in the dome and the undercroft, as well as more intimate spaces, within our offices and smaller meeting rooms. There are also limited outside facilities on our flat roof areas.